Feeling Like A Self: A Conversation With Mary Margaret O'Hara And Perfume Genius Perfume Genius' Mike Hadreas invited the reclusive Canadian auteur to perform at Le Guess Who? last year. The pair met for the first time backstage and shared insights on creating and performing. Mary Margaret O'Hara gained critical acclaim and a cult following with her 1988 album Miss America; last year, Perfume Genius' Mike Hadreas invited her to perform at the Dutch festival Le Guess Who? Last May, Perfume Genius' Mike Hadreas posted a typically wry tweet about his dream music line-up: "If I curated a festival it would be an 8 hour long buffet and then Bonnie Raitt rides in on a motorcycle with dessert in the sidecar." Who could resist? But when Hadreas was invited to curate a day at the Dutch festival Le Guess Who? in Utrecht last November, his selections were even more tantalizing than finger food and Harleys. Among his chosen acts were noise artist Pharmakon, Welsh psychedelic Cate Le Bon and, most intriguingly, the reclusive Canadian auteur Mary Margaret O'Hara. O'Hara hadn't performed in Europe since a Christmas concert at London's Barbican Centre in 2008. And Hadreas was about seven years old when she released her lone album, Miss America, 20 years prior. He hadn't heard of it until a journalist asked if she was an influence on his third album, 2014's Too Bright, but instantly fell in love. The connection makes sense. Both artists' lyrics often strive for hard-won happiness while refusing to deny their personal intensity. "Now hit those gleaming faces hard, though they'll try to miss it," O'Hara sneers on "Year in Song," a spirit that seems common to Hadreas' confrontational performances, whether he's singing starkly at the piano or writhing in latex. In recent years, Hadreas has taken to covering O'Hara's "Body's in Trouble," a song that foreshadows the desire for emancipation from physical form that he explored in last year's spiritual No Shape. "You want to kiss, feel, take, hear, ride, stop, start somebody, and a body won't let you," O'Hara sings. In a statement released alongside his cover for Spotify's Studio series, Hadreas writes, "My relationship with my own body is confusing and I use music to try and puzzle it out, or as rebellion against needing a form at all." One of the things O'Hara was rebelling against when she wrote Miss America was a record label that didn't understand her. The album had a protracted, four-year genesis: swiftly aborted sessions with XTC's Andy Partridge in Wales; more sessions shut down when a Virgin Records employee balked at what he heard. She eventually completed work with producer Michael Brook, and named the result Miss America "because I thought the record was so much unlike what those two words together said," she remarked at the time. To be glib, it's clearly not the work of Bonnie Raitt. Miss America is spiritual and feverish, full of loose, croaking hymnals, twisted devotion, haunted C&W and gnarled meditations that might have been an influence on PJ Harvey, Hole and Belly if there was any likelihood of them actually having heard the record. It was a critical hit in Britain, at least. Music paper Sounds wrote that O'Hara's voice "[appeared] to be clinging white-knuckled to the bare face of life." When she played London in March 1989, Time Out called her performance "one of the most important concert debuts of the year," and named her "the most cathartic female presence to emerge in white popular music in the 80s." The O'Hara cult spread. 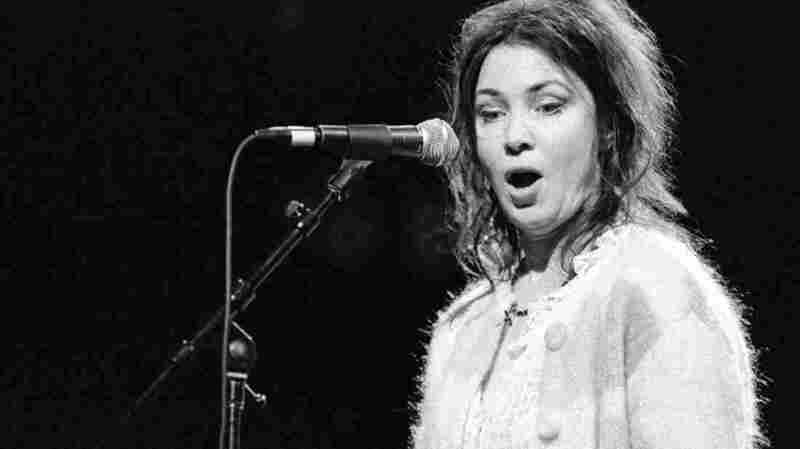 REM's Michael Stipe called her "one of the most powerful singers I've ever heard" and "a national treasure" on separate occasions. Nick Cave, the Dirty Three and Rickie Lee Jones professed their fandom. Fellow Canadian Neko Case had O'Hara lend background vocals to "Ghost Wiring" from her 2002 album, Blacklisted. Twelve years earlier, Morrissey had hired her to wail on his solo single, "November Spawned a Monster." He explained his attraction to style bible The Face: "I suddenly realized I hadn't in a decade heard someone singing because of deep-set personal neurosis, absolute need and desperation. You'd think she might fall apart at any second and become a pile of rags and bones on stage." In the studio, he instructed her, "Just simply give birth." But the turn of the 1990s all but marked the end of O'Hara's solo career. She released her Christmas EP in 1991. She occasionally popped up on tribute albums, and gave an immensely moving performance at the Canadian memorial service for John Candy in 1994. She's appeared in the occasional play and film (including Apartment Hunting, for which she provided the soundtrack), but mostly retreated into regular life in Toronto. As she once said, "Just because I have an idea, I don't have to make something of it." O'Hara's sublime debut and her relative absence, then, made an irresistible prospect of getting her in conversation with Hadreas. Their conversation about power, expression and particularly the difficulty of being taken seriously spoke directly to the Turning the Tables series: Hadreas using his platform to elevate O'Hara reflects our mission of canon-reconstruction. The pair met for the first time backstage at Utrecht's Tivoliredenburg venue. Earlier that week, at home in Toronto, O'Hara had fallen on her front step and sustained a nasty black eye, and understandably declined a photo, so you'll have to picture their encounter for yourself: sitting side-by-side on a leather couch discussing the merits of gibberish, the urge to create and translate those creations to a wider audience and how close-minded perceptions have affected their work and self-image. Laura Snapes: Mike, what about Mary Margaret's music spoke to you? Mike Hadreas: There's a lot of intention but then there's a lot of being around, dancing around. Mary Margaret, did you know of Mike's music before you had the invitation to play this show? Mary Margaret O'Hara: No! No, he's amazing, beautiful. Somebody told me about it a few years ago. How long have you sang ["Body In Trouble"]? Hadreas: A while, it's been three or four years. Hadreas: That's good, I like that! O'Hara: You're just so wild and great and exciting. But I didn't know that you were curating this. [Festival founder] Bob van Heur emailed me about doing it. I do free improv a lot, and I'd just done this show in Montreal. It's really just sound, not words or anything. [When] I looked [Le Guess Who] up, I was like: Whoa, this is definitely something that you can do free improv at. I said I would do it and they emailed me [asking] how many songs off Miss America am I gonna do and which ones. I was like [horrified], I'm not singing Miss America! And then I found out that you asked me, and wanted to say thank you! But then I thought, oh, I wonder if he wants me to do Miss America too! Hadreas: Oh no, you can do whatever you want. This is the kind of festival where people are receptive to what is coming out. I'm here for sound, no sound; lyrics, no lyrics! That was one of [my] questions, because at the end of "Body's in Trouble," I sing it in gibberish. O'Hara: I do gibberish all the time! Hadreas: And I write pretty much only in gibberish. O'Hara: I start words in gibberish. Hadreas: Yeah, and then I get really attached to the gibberish when I have to try to fit lyrics in. O'Hara: That's so funny that we do the same thing in that way. One time I did this song, and I sang it, and it made people cry, but I didn't have words yet. I had the chorus, along the lines of, "this is what I want, this is what I want." I didn't know what to write [in the verses], so I asked my three sisters to write a verse of what they want — what was important to them, you know. I did a version of it and it's not very good. The words were great that my sisters worked on, but the gibberish one was moving, made me cry! I know that sounds terrible. Hadreas: No, I think I feel the same way! Because that was the emotion when you made it; that's the beginning of it. I think that's why I do the gibberish, because it feels like it's born from that. Snapes: If the gibberish feels like the purest part, what's the impetus to put concrete language on it? O'Hara: For other people to understand. Hadreas: It's two different things. Sometimes it can change a song and make it better, for sure, when I put the lyrics on top. O'Hara: It feels right both ways, doesn't it? It's not like you wanna put the words on for any [old] reason. That feels right in that way, and the freedom, gibberish feels [right in another way]. And no rehearsals! Snapes: Mike, you started covering "Body's in Trouble" a long time before you released No Shape, but it's interesting how much the message of that song matches what you're doing right now: wanting to shuck off physical confinements of having a body. I heard that in both of your music — a resistance to being pinned down by language and physicality. Is making music the closest you can come to escaping those confines? Hadreas: I guess, in a way that feels complete to me. I'm basically trying to escape those confines since when I wake up until I go to bed! But I don't ever really feel good at it until I'm making music, then I guess it feels a little more spiritual, which is, I guess, the goal for me — or the only way that I figured out that would make me feel somewhat peaceful for a minute. And I don't really know how to do that besides making stuff. O'Hara: Wow. I don't make stuff at all, hardly. I used to do a lot more: drawing, all kinds of different things. As far as when you said spirit and making you peaceful — I feel much higher not doing anything. Isn't that awful? Snapes: Mary Margaret, have you kept making music? O'Hara: I always write, I'm always writing, but I haven't done a lot. I don't present it anywhere. It's like a squirrel with nuts, for the winter. Hadreas: For me, I make things, and then once I try to make it official — like, here is a thing I made — it changes the whole thing. It never ends up what I envisioned, or how it was in the beginning. Sometimes it could be better in a different way, or it ends up being for other people and not just for me — which is nice, but also it's complicated and it doesn't really satisfy me in the same way that writing does. O'Hara: Yeah, I always think that when you're walking down the street, music is in you, really strong, powerful. And then the voices are next, like in a room by yourself; then with an audience — each level is different, and each level takes away from the source of it. Snapes: What goes through your head when you perform? O'Hara: I can never know what I'm gonna feel like. I feel differently each time. If I'm ever in the studio any more, I close my eyes, and I can't close my eyes in front of an audience. Audience really affects me, I think. Acting was fun, and doing a stage play was fun, because you really have that fourth wall. I think some people in music can do that fourth wall thing. And if I feel good, I'll connect, like a circle. Hadreas: I feel differently every time I go up, and I sing differently each time, too. And I don't think there's a real formula for it. I've been to shows where I could tell that people were there, and they were quiet, and they were into it, but I couldn't feel them for some reason. And there were times when nobody was into it but I was! So, I have no idea how it works, to be honest. One thing I was wondering was if you felt, when you go on stage, like you're conjuring something or channeling; or do you feel more like yourself, or do you not feel either, or anything? O'Hara: I feel best when I feel like I'm in the audience, and if I can feel loose enough to get some laughs — but if I feel separate, I don't like that feeling at all. I don't like feeling like a self, like: "Here I am!" I always ran away from being kinda known or whatever — pigeonholed, where people pin you down. Snapes: I went back and read all the original coverage of Miss America. The way people wrote about you as a woman making this music, they resorted to words like "crazy" or "kooky," pejorative stuff. Did those perceptions affect you? O'Hara: They bugged me. Yeah, affected me like, f***! And also, the record was held up for four years. We were talking about gibberish, right? I wrote a song called "Year in Song," and I went to Wales to record. I'd made that all gibberish, and [the label] kind of went nuts on that and they shut the record down for about four years. That was the one that made them think, "She's gone insane!" And I redid it with words; I eventually did it again when I mixed the record. So, "quirky" and all that stuff — and also, people think you're sad. After the record came out, three writers came over from England and one from Ireland and they said to my brother, "Oh, she's so delicate, she's so sad," and [he replied], "She's about as delicate as a bag of dirt!" I thought that was the best! Snapes: Did what people said about you at the time stop you from wanting to put any more music into the world? O'Hara: No, he hated it! He shut the record down for four years. I won't say any more about that stuff. I'd like to tell the story of it myself. Hadreas: When I was making quiet music I was just constantly described as "fragile," and in interviews they would always say that I looked like I was about to cry. I had thought that I was making a lot of jokes, even then, in those interviews — then I read them and I'm like, did we [have the same conversation]?! If I was so fragile I don't think I would have sung, or made any music. I got very angry about something I was doing that felt very powerful and strong, and much more powerful and strong than traditional power and strength sounds to people. I was very frustrated by that. And it still happens, constantly. I think now that I make loud music and I scream, people are like, "This is a powerful thing, this guy is strong!" — when I basically only did that so that they would understand what I was talking about. Because the stuff that is a little quieter, or more complicated emotionally, feels a lot more strong to me. O'Hara: And do people think you're writing just about yourself, but you feel like you're writing about others and it's their thing to take? Hadreas: Yeah, or maybe it starts in a personal place — but it's a thing I made. And maybe it sounds really emotional, and it is born from emotion, but there's also a lot of math in it at the same time. Other people — well, men, essentially, dude men, men-dude-guys, they're able to take the emotion and the skill and the math of it, and those things don't cancel each other out, and then they're considered a genius, because it's so wild and crazy, but also they're so good. But you go further down on what traditional strength looks like, and then you just get, "They're wild people," like you're this emotional thing and people are just recording it. Even though it is that, but it's also purposeful, it has intention and there's math to it. But it's hard to talk about, because I feel like if I talk about that, then people will feel like it's all calculated. And it's not. It is born from somewhere emotional and spiritual and free, but when people just talk about that part, I feel like it can be diminishing. O'Hara: And people have an idea of you, too. I feel like sometimes people come and they already know what they wanna write about you, and you think: Were we in the same room? Hadreas: Yeah! At least they got something to write about though, that's how I talk about it to myself. Snapes: Was there anything that you wanted to ask each other? O'Hara: I didn't ask you anything. I love the gibberish thing. Hadreas: We should do a gibberish album!